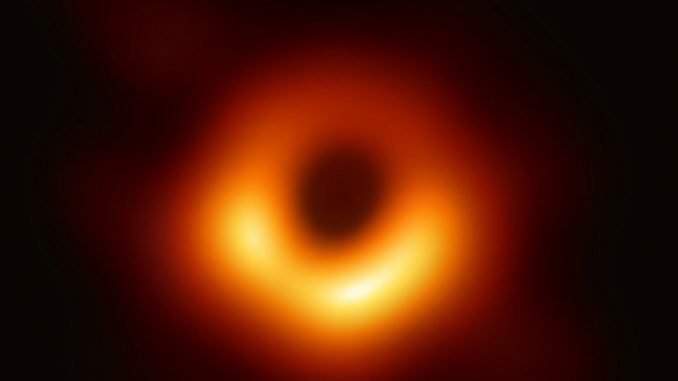 Those are the words of Heino Falcke, part of a 200-person science team across the world as he unveiled Man’s first image of a black hole in space. He spoke today, April 10, 2019, at a press briefing in Europe. In Washington DC, a simultaneous press briefing was led by Sheperd Doeleman, who discussed the effort to image a black hole at SXSW in Austin in March 2019. “We took our first data with the Event Horizon Telescope (EHT) in April 2017,” Doeleman told the audience in Austin. “We have Einstein and Schroedinger looking over our shoulders,” he said, referring to the two great scientists of the 20th century who worked on the theory and mathematics that led to our understanding black holes exist. In March, Psaltis said that the “shape and shadow of the black hole can be calculated precisely. This will be compared to the actual observation to see if Einstein is 100% right.” Now that we have the image, what is the verdict on Einstein and his Theory of General Relativity? Recent telescopic observations of the galaxy M87, the target of the EHT, “lets us see that a massive object is dragging whole stars around it. What could it mean to have an image of a black hole?” Just a month after he spoke, the world now knows.